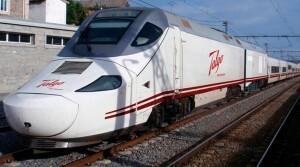 • Talgo special Train departed from New Delhi at 19:55 hrs. • It travelled through the same route which is followed by the New Delhi – Mumbai Rajdhani Express train No. 12952. It also observed the same permanent and temporary speed restrictions as well as the sectional speeds of Rajdhani Express Train No. 12952. • The existing Rajdhani Express takes 15:50 hrs from New Delhi – Mumbai Central. • There was water logging beyond Surat between Udvada – Vapi – Bhilad section, which considerably delayed the movement of trains as speed restrictions had to be imposed for safety reasons. • Accordingly beyond Surat the Talgo train could not implement its trial schedule because of the reason beyond their control. • In anyway from Delhi – Surat Talgo train took around 2 hours less in comparison to Rajdhani Express. 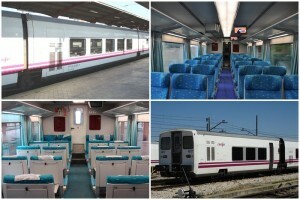 • The Talgo train fully succeeded in its maiden trial between New Delhi &amp; Mumbai. • But for the reasons mentioned above it would have taken approximately 3hours less than the Rajdhani train in reaching Mumbai Central. It means that it would have reached in 12 hours 47 minutes as claimed and planned. Good luck Indian railways…… we are proud of……..